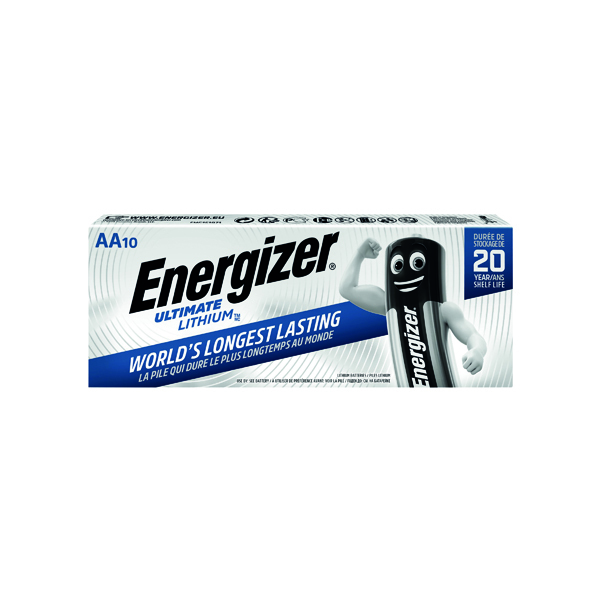 Energizer Speciality Lithium Batteries are designed to keep your devices running for longer. Providing power that is consistent and long-lasting, each battery provides you with fantastic value for money. AA is one of the most common type of bateries, perfect for everything from clocks to remote conrtrols and everything in between. Provided to you in a pack of 10, these batteries have an exceptional shelf life that allows you to confidently buy in bulk.